Therapeutic yoga or yoga therapy is a tool for healing and managing injury and illness and improving overall health and well being. Private yoga therapy offers specialized instruction designed specific to your needs, meeting you where you are. Through functional movements in the body, breath work, meditation, and relaxation techniques- therapeutic yoga empowers individuals to take their health and healing into their own hands. Each therapeutic yoga lesson offers an educational component. Learn to identify imbalances in the body and how to return the body to a balanced state through movements that create stability and encourage mobility. 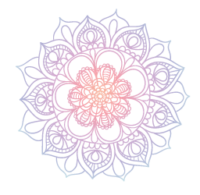 Yoga therapy explores habitual thought patterns that create emotional imbalance that may be limiting our healing potential or health in some way. Every therapeutic yoga class has a strong focus on learning techniques that help to bring the body into the parasympathetic nervous system, the body’s rest digest and repair mechanism. The educational component provides clients with tools that can easily integrate into their daily lives. 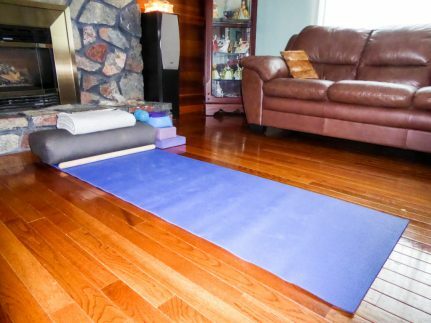 Yoga in Motion will come to you, delivering customized private yoga therapy in the comfort of your own home. Prior to the beginning of each new session, an intake form is completed by the client to assess their needs – both physical and emotional. At the beginning of each new session a half hour assessment is conducted at no additional charge. A minimum of four sessions is recommended enabling the client to build a strong foundation that can easily integrate into a home practice. For maximum benefits of the practice to be received, a home practice is strongly encouraged. This is supported by customized take home sheets with images and detailed instructions. Working one on one is most effective when you are comfortable and feel safe with your teacher. I offer free no obligation phone consultations to all new clients. I invite you to reach out to see if my services and my approach are in line with what you are looking for. Book a free phone consultation, or fill out the form at the bottom of the page. I will contact you within 48 hours to discuss your needs.